I have been invited to teach at Sewtopia in Chicago in 2015! It's destination USA ~ Chicago 2015 for me! As a family we love to travel and have made several trips to the USA including a short stay in Chicago which as a city we just loved. So when I was asked to teach at this sewing retreat I literally jumped at the chance. Sewtopia is a weekend where attendees can leave all the stresses of daily life behind to indulge themselves, focus on sewing projects, and get together with friends, old and new. (See more information regarding registration and an events schedule here). Places are limited. TEACHERS: Latifah Saafir (The Quilt Engineer) and me! (Latifah is a great inspiration to me and I will be most sorry that I can't also attend Latifah's class!). It will be my greatest joy to finally meet ~ face to face ~ with other bloggers, quilters and sewists; to spend time together sewing, share knowledge and learn from others. 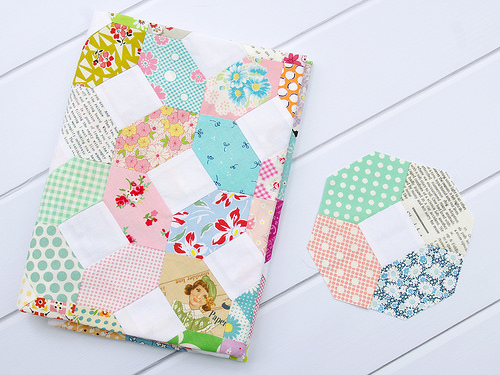 I will be teaching the Kansas Dugout Block and inset seams - a class suitable for all skill levels - and if you're like me and learn quickly in a class setting, then I know you will enjoy this class, and walk away confident to tackle all inset seams, as well as with a completed project. Good times ahead. Roll on 2015! 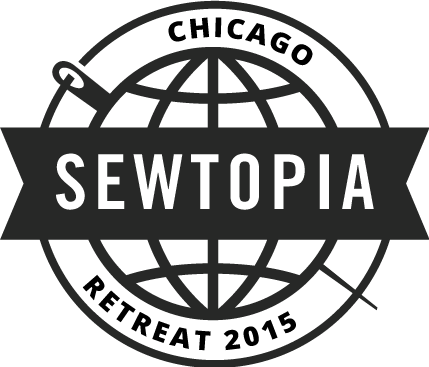 Sewtopia ~ Chicago Registration. Opens 1 August 2014. Download the official Sewtopia App and keep up with all the latest news and information. So jealous (and happy for) those who are able to attend. I'm going to QuiltCon in February and just can't swing both so close together but attending it's definitely high on my bucket list. Congratulations on your teaching gig. Oh, this will be great all around! I hope you will blog extensively about it so we can all join in the fun... albeit virtually!! If someday you get a chance to do a sewing class in Southern California, please jump at that opportunity! I could see you teaching all over the world. Your skills are simply world-class. Congratulations. Hope you share some things with us back here in AUS. Congrats - that's exciting news! What a wonderful opportunity! Sounds like a fun time for all. Congratulations, Rita! How exciting! You will have a great time. Congratulations Rita. Your students and you will have a great time together. Minneapolis, MN would be a great place for Sewtopia - we just did the All Star game and the Super Bowl is just around the corner. We have the Mall of America too! Congratulations I am sure you will have a great time. I nice block to learn. Just wanted to say Congratulations Rita. Go Girl! Congratulations! I have been admiring your Kansas Dugout Block for ages, wish I could be there!